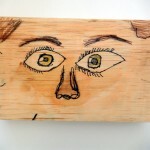 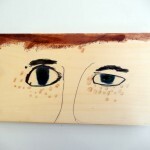 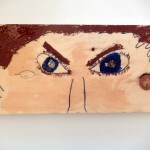 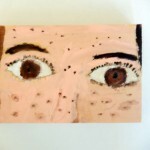 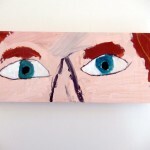 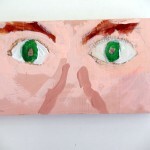 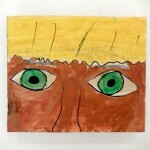 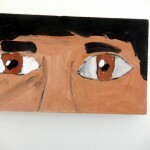 Fifth graders explored a unique perspective – and material – to create these self portraits. 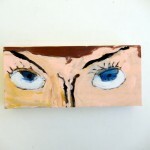 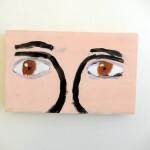 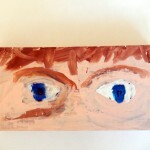 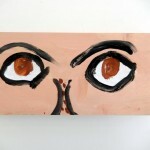 Honing in on just their eyes, they learned about the geometry of the eye and its placement on the face. 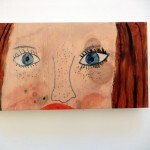 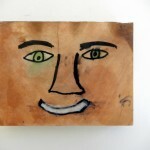 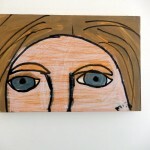 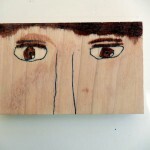 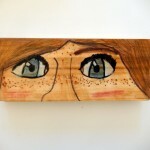 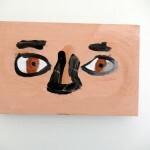 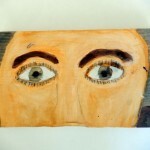 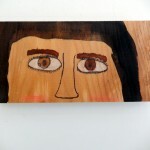 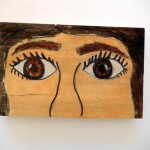 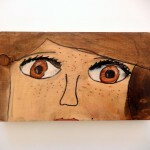 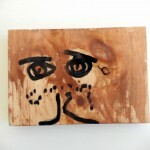 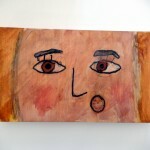 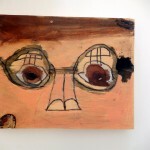 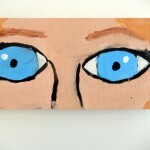 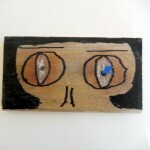 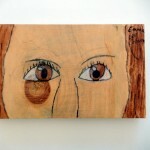 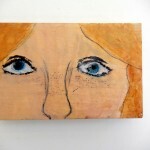 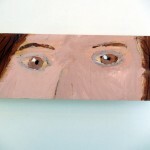 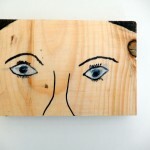 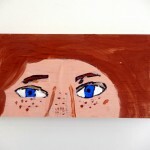 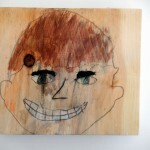 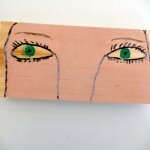 They drew on wood and colored with watercolor, colored pencil, and tempera paint.